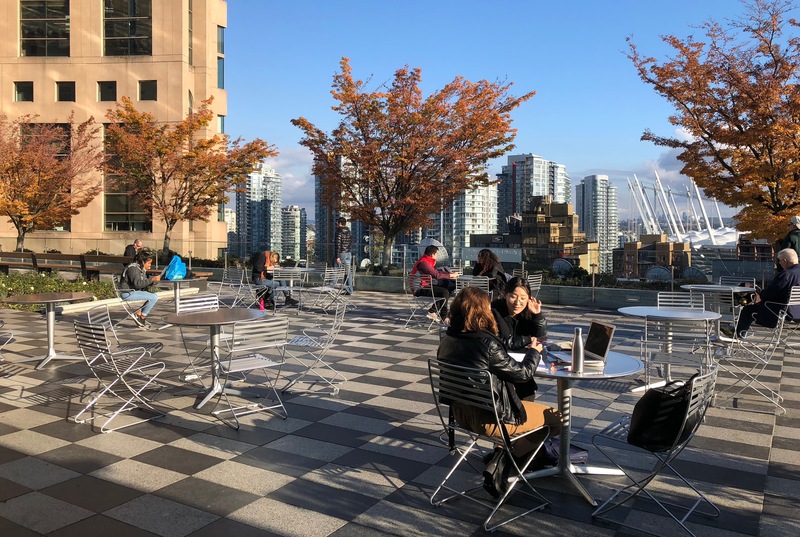 Connect Landscape Architecture is excited to announce that the Vancouver Public Library (VPL) rooftop garden is open to the public. With views of the city skyline, the Phillips, Hager and North Garden provides Vancouver a publicly accessible rooftop garden within the downtown core. Connect worked closely with Cornelia Hahn Oberlander to ensure her vision for the new public library garden was realized. The all-inclusive garden is reminiscent of the Ancient Gardens of Paradise from around the world in particular gardens of Pompeii. The garden is flexibly designed to accommodate large groups for lectures, receptions, and for smaller intimate outdoor readings, quiet study and individual reading nooks. The central plaza has moveable tables and chairs, and can be used for larger events and receptions. The new garden will be an oasis away from the busy world to contemplate and enjoy the sites of Vancouver. This iconic building originally opened to the public in May 1995. The nine-storey structure was designed by the joint venture of Moshe Safdie and DA Architects after winning a design competition against 26 other architects. The original design team of Moshe Safdie/DA and internationally acclaimed landscape architect Cornelia Hahn Oberlander had imagined and designed a rooftop garden. And yet, as is common with many projects, budgetary constraints resulted in the top two floors being leased as offices to the provincial government. In 2015 VPL decided it was time to create a 59,000-square-foot indoor and outdoor expansion of the library on the two top floors, and bring the once-imaged rooftop garden vision to life. 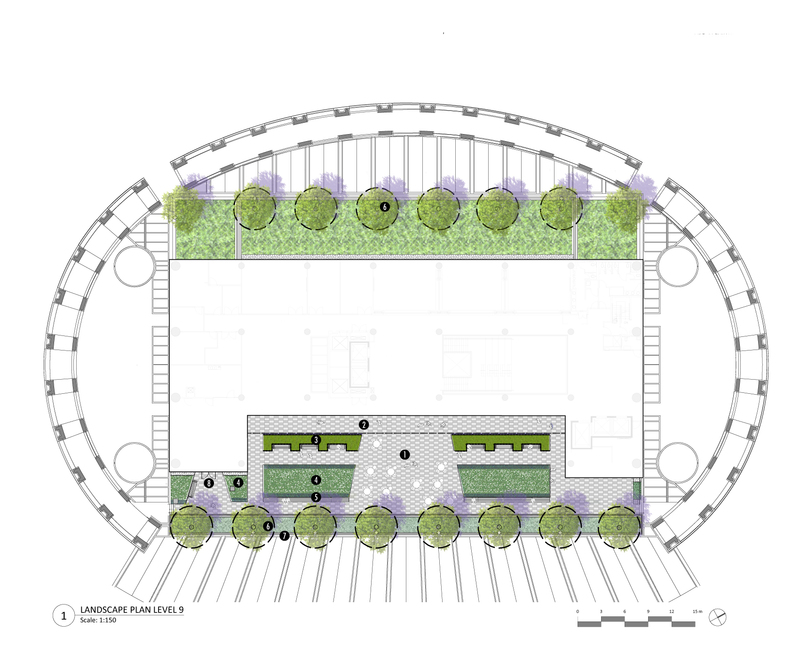 The project removed ½ of the upper level to create the roof garden, opening up the floor between level 7 and level 8, and publicly connecting those levels with 2 new escalators. 350 West Georgia Street, Vancouver, B.C.